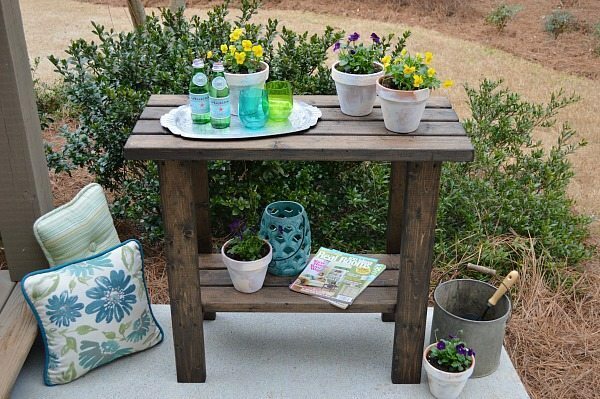 This piece of furniture is so versatile, you will love it! 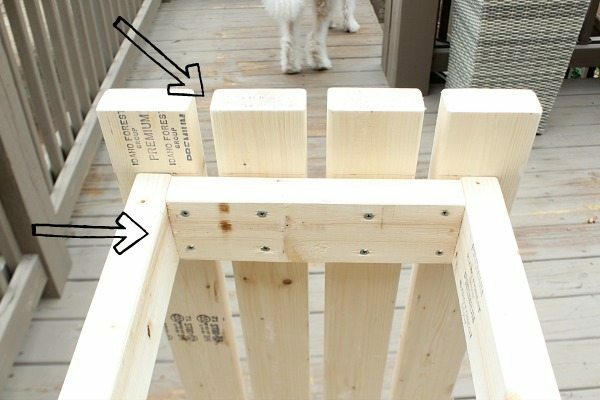 Easy to build and around $15 in lumber! 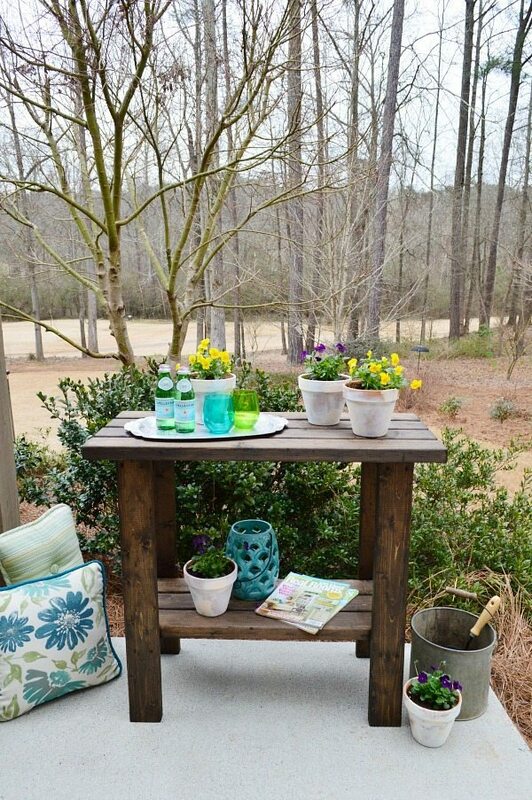 Grab 5 – 2″x4″ at (8′ long) pieces of lumber and you can have a potting bench in an afternoon – a few hours – really! Make the legs (a total of 2) first. Attach center brace between two of 30 1/2″ – 2×4 – using 2 screws (8 total per leg). – Repeat for the other leg. Attach second brace on each leg at 8″ from the bottom of the leg. (See photo below). Attach one side at a time. When complete it should look like this. 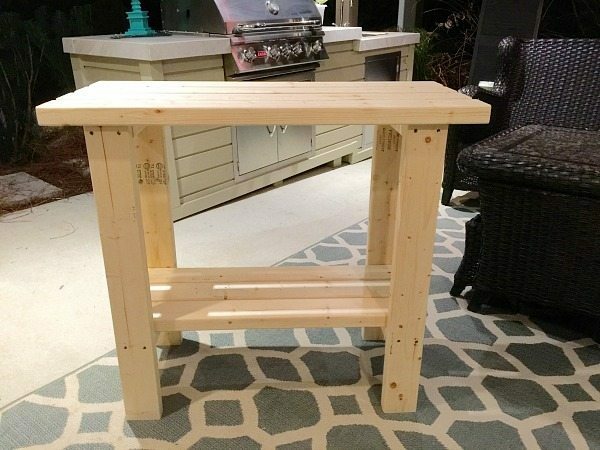 Use a scrap piece of wood for creating the space between the wood on the top of the table. We used several 1″x 3″ scrap – you want the space to be 3/4″. 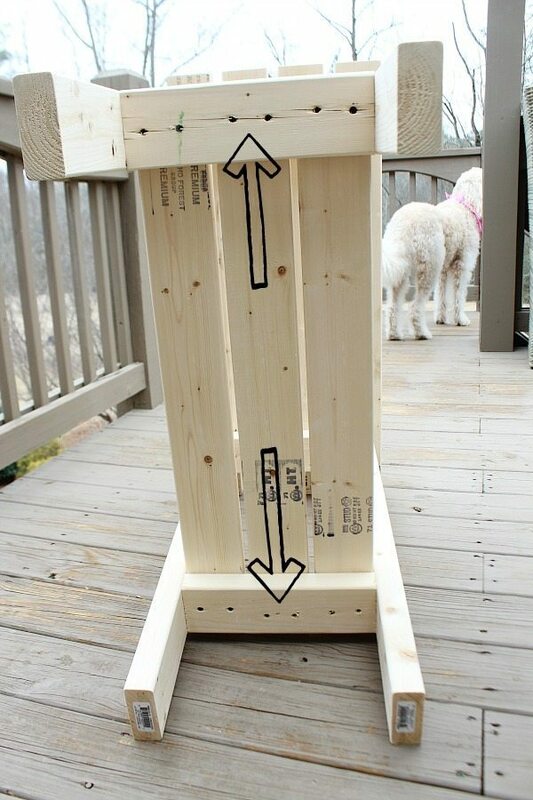 Attach the top by screws from the bottom, at the top of each leg. 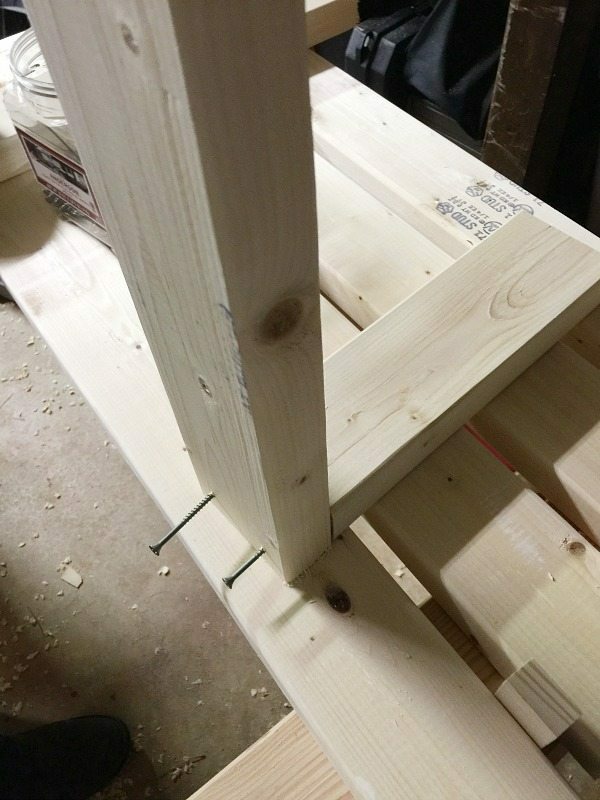 To create a 3/4″ space between wood on the top of the table, we used a 1″ x 3″ scrap wood. 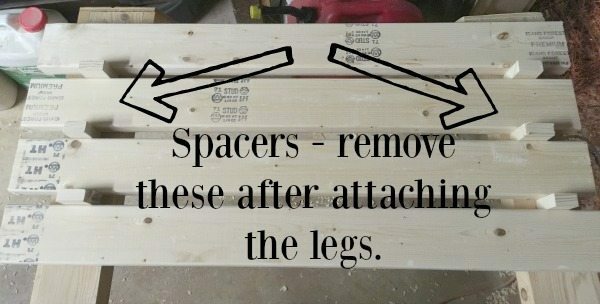 Apply glue and attach each leg with 8 screws as shown above. Equally space the 3 pieces of wood, attach from the bottom using wood screws. 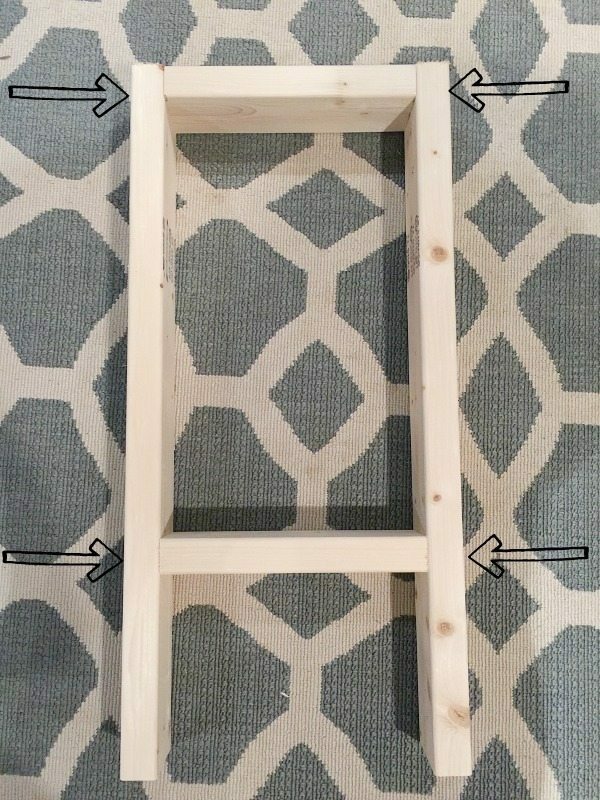 Attach shelf, while the piece is upside down. After staining, love the imperfections! The bench is very basic, easy to build in just an afternoon. You can paint or stain it. Be sure to sand to remove splinters and smooth out the wood . 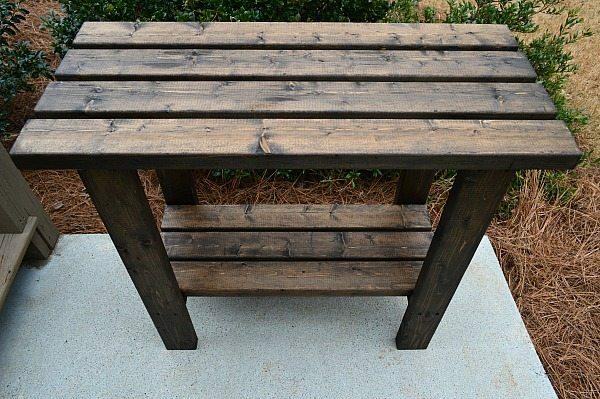 To create a worn, rustic look just use any stain color that you like. Apply a top coat of poly, depending on the stain, not always necessary. 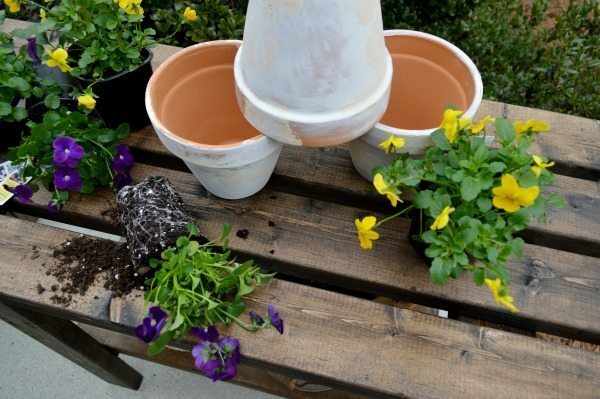 If you decide to paint the potting bench, fill in the screw holes with putty, so that you have a smooth surface when complete. 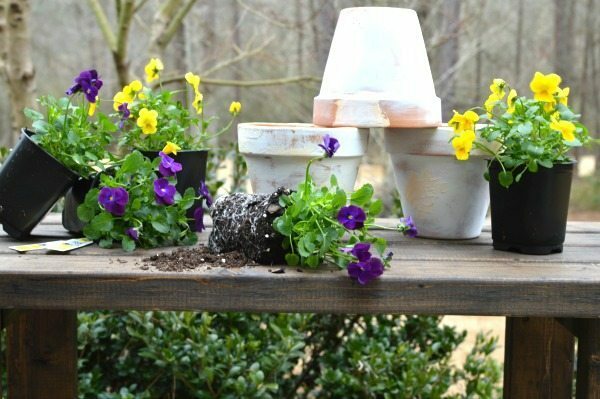 This 2″ x 4″ Potting Bench plan is perfect for your first project. Beautiful piece! What color stain did you use? Thanks Paola, I used dark walnut stain. Hey Debbie! 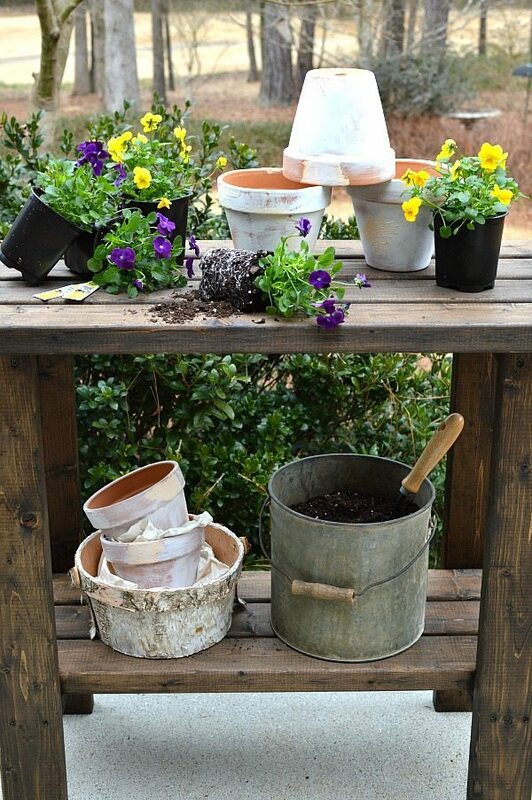 I love your potting bench. You did a fabulous tutorial, and make it so easy. The stain looks great, and it’s so versatile. This is beyond cute!! I need one of these!!!! Love your staging, darling! It is always a great project when it is easy and beautiful!! !…and the icing on the cake is Shannon aging those pots for you and staging the area….well, you know how it is…no matter where you are, you are always styling something, either physically or in your mind!…Glad you and Shannon had great fun together! I love your project! 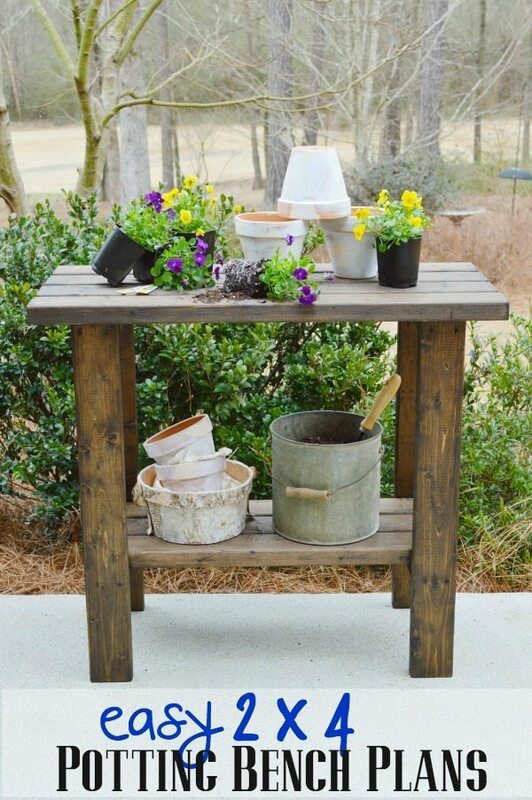 One of my closest friends has asked me to build her a potting bench this spring. I’m keeping your project in mind when I do build it! And your photos are lovely with the styling! Pinned! Great project Debbie! Love the styling too, Shannon! 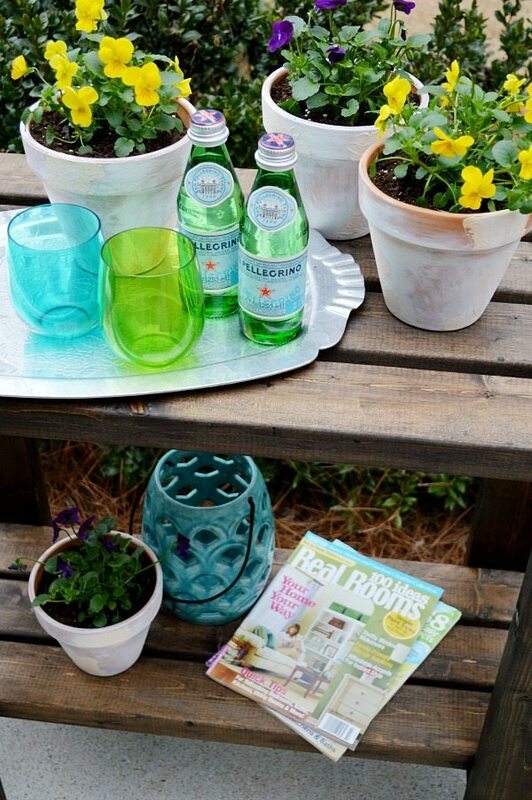 I might have to build this for my daughter’s patio! Thanks Donna, yes in under a week, I’ve used it for several things!! Love multi-purpose furniture! Have a great week! I need this in my life!! Next weekend’s project for sure! 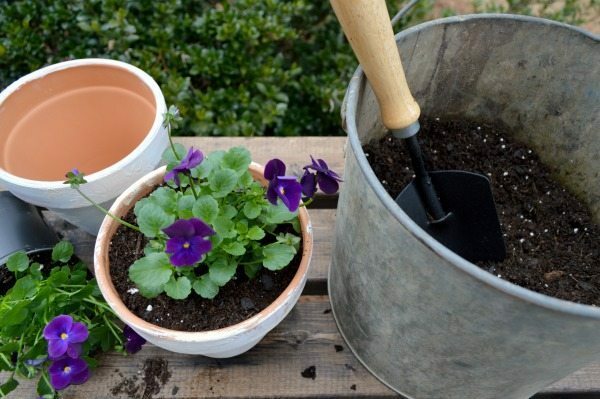 I love how easy this is, I can totally make it! Thanks Jes, can’t wait to see yours! !